One fun activity you can do at Walt Disney World parks and resorts is pin trade. It is a time when you get to interact with staff while at the same time, get a really cool souvenir! If you enjoy Disney Pin Trading, you might be interested to know that you can get access to secret opportunities for Pin Trading in Magic Kingdom. If you walk along Main Street USA, you will come upon the The Chapeau (hat shop). This shop is filled with different types of Disney hats. Approach the counter and ask a Cast Member to see their pin hat. They have a hat covered with Disney Trading Pins in which you can trade from! While there, you should also pay attention to this other hidden gem. 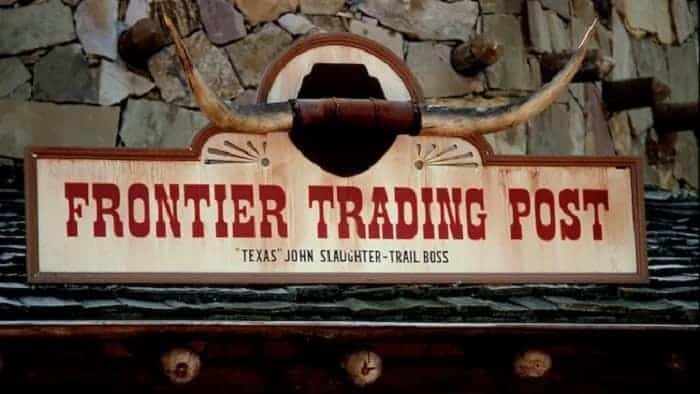 Over in Frontierland, you will find Frontierland Trading Post. It is a small shop with a good selection of Disney trading pins. If you go to the back counter (there are two counters in the store), you will see a pin trading board along the back counter. Just ask nicely, and they will allow you to trade from it. There is also a hidden gem for pin trading in The Big Top Gift Shop in Fantasyland. 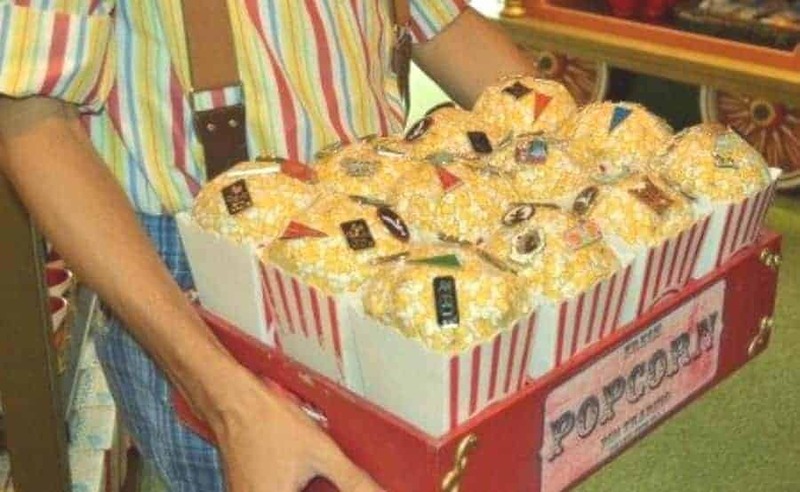 If you ask the right cast member to “see the popcorn”, you might get a real treat. 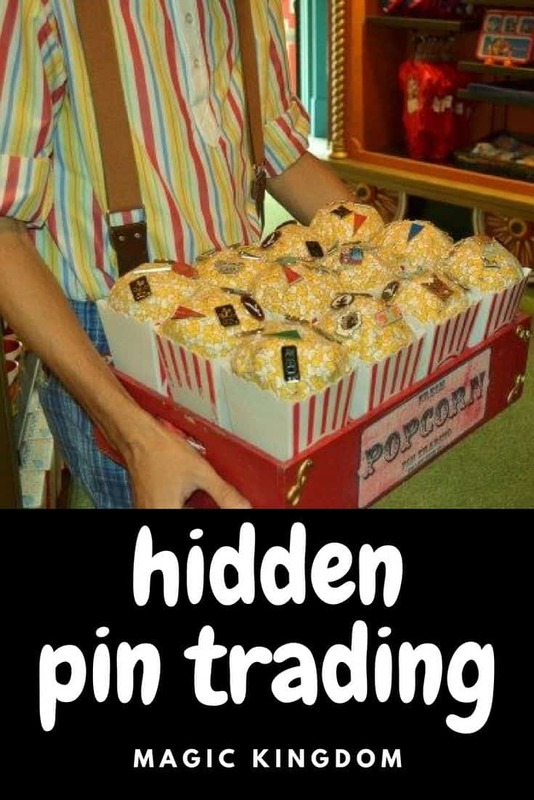 They will bring out what looks like a tray of popcorn, but is actually a pin trading board! Don’t be surprised if others start to gather around when the Disney pin boards appear. These types of hidden gems tend to garner attention. All pin rules apply & limit your trading to two pins. Have you spotted any other hidden pin trading in Magic Kingdom?